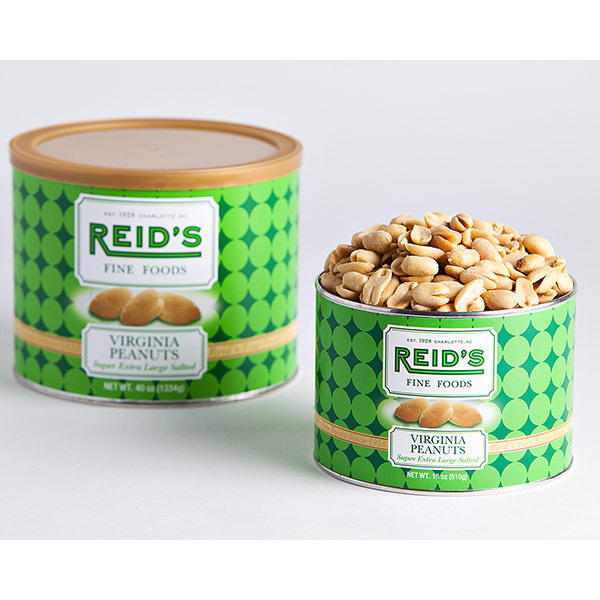 Reid's Virginia Salted Peanuts are great for parties or tailgating. Virginia Peanuts are cooked in pure peanut oil in small batches and lightly salted to maintain the peanuts distinctive flavor and healthy qualities. If you have never had Virginia-type peanuts before, you'll be amazed at their large size, crunchy texture, delicious flavor and freshness. The shelf life is approximately 1 year if kept in cool, dry temperatures.